Box brings best File Sharing with management in ConvergeHub CRM. It is a document management service for businesses & entrepreneurs around the globe. It has become synonymous with cloud storage and file sharing and is used by 180,000 businesses and 20 million customers to store documents, photos and videos, etc. Over the last couple of months, we have got constant requests from ConvergeHub users for ConvergeHub and Box integration. Well…the wait is FINALLY over! 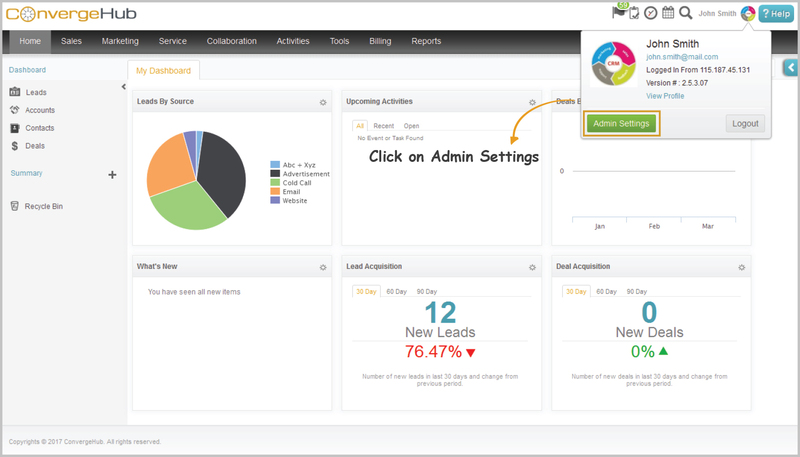 ConvergeHub and Box integration, that lets you access and manage Box files from within the ConvergeHub CRM. This integration opens up options beyond file storage and file sharing, such as document editing and file collaboration. 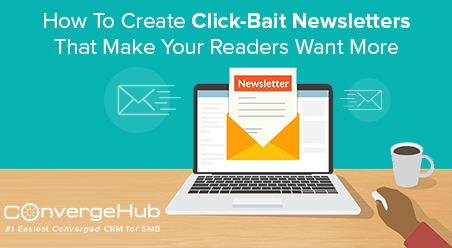 It breaks barriers between content and sales. Documents are a core part of your business. Every activity, process and department is driven by it. By integrating Box within your ConvergeHub account, you bring client relationship management and file sharing & file management under ONE Roof. This results into a compelling scenario where your team can collaborate on presentations, contracts and proposals, share large files, share documents online with customers on the go, process work faster and be more efficient. Access all of your Box files and documents from online CRM itself. Quickly attach any and all Box files and documents to contacts, sales leads, projects, support cases, and more in it. Edit and revise all of your Box documents from within customer management system and get the same reflected in Box too. Attach Box files while mailing to leads, customers and partners etc from within ConvergeHub. Keep it simple, secure file sharing and collaboration from anywhere. Post the integration, every folder and document that is stored in your Box account appears in ConvergeHub Library. 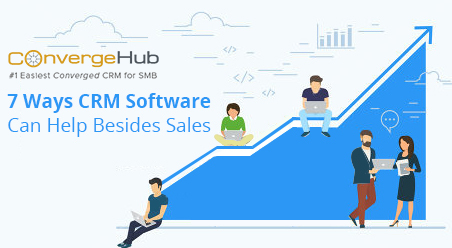 That means reduced administrative burden as you do not have to constantly hop back-and-forth between CRM and Box. You can access all important product information, marketing assets and sales presentations directly from within ConvergeHub, without switching between multiple screens. Most relevant contents are at your fingertips and you can increase your work efficiency by having the latest version of all collaterals readily available. This integration is not just about displaying Box files but also being able to edit them from within ConvergeHub. 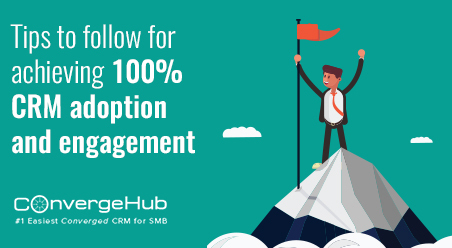 So whether it is a word document, spreadsheet or presentation – you can edit it directly in ConvergeHub CRM, without having to separately log into Box. If you edit verbiage of a Box file in ConvergeHub, the change will take effect in Box too. This smooth content transition will ensure that all your files always remain up to date, whether you view them in ConvergeHub or Box. With ConvergeHub and Box together, you can access customer data and collaborate on proposals and contracts on the go, on any internet- enabled device. Relevant content – such as sales collateral, invoices, contracts, and purchase orders are accessible and shareable within the CRM application. So you can share content freely with your team, customers, partners and prospects from within your CRM Software and also keep a track when proposals and contracts have been viewed, downloaded or edited. 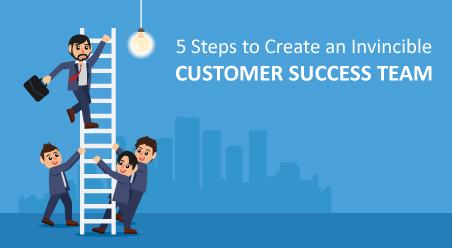 You will be empowered to customer service & engagement and accelerate your sales process smoothly. So wait no further. Integrate your Box account with ConvergeHub CRM and bring organization-wide collaterals and customer records in one platform to SEAL the DEAL faster. This will remove bottlenecks in sales as you do not have to waste time searching for the right attachments among the hundreds of files you have. 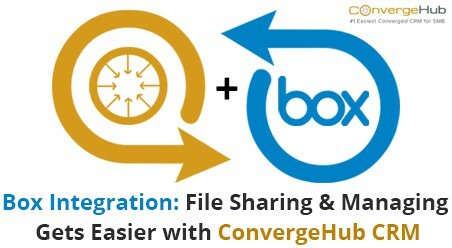 Box for ConvergeHub gives sales a quick and easy solution for managing and sharing their files from within web based CRM. 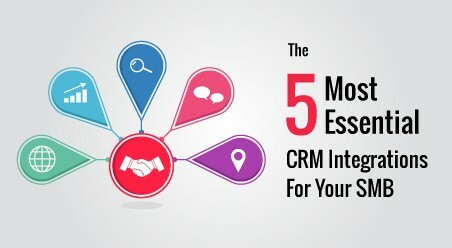 Integrating Box with Converged CRM is an easy and straightforward process. All it will take is a couple of minutes. >>> Click on “Admin Settings” to go to ConvergeHub App Store. >>> Click on “App Store” option under “App Setup” section in the left panel. >>> Read details about Box app in ConvergeHub App Store. >>> Go to ConvergeHub Library under Collaboration module. >>> Click on ”Connect to Box” option in ConvergeHub Library. Provide your Box account login credentials in the pop up and click on ”Authorize”. >>> Click on ”Grant Access to Box” that will connect Box account with ConvergeHub. Once your Box account is connected with ConvergeHub, find the Box folder inside ConvergeHub library. Click on Box folder to view all the files stored in it. Click on ‘File Options’ dropdown to download, delete or move/copy the file from one folder to another. Please note the actions taken here will reflect in your Box account too. >>> Attach any and all Box files and documents to contacts, sales leads, projects, support cases, and more in ConvergeHub. >>> The attached files will appear in the sub panel in the details page. We are pleased that we have been able to integrate with Box – the most preferred choice for online storage and file sharing. Hope you find this integration useful for your document management. We would love to hear your feedback.